A son of Ranginui and Papatuanuku, Rongomaraeroa had many spiritual portfolios’, the best is as the giver peace, often in direct contrast to Tumatauenga. 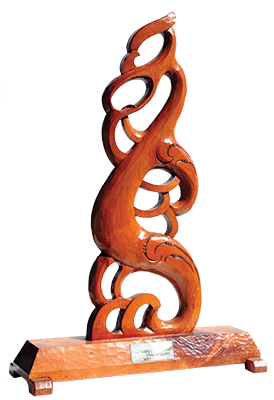 Rongomaraeroa symbolises peace, goodwill and contentment, indeed the Maori word for peace is rongo. It is significant that most tribes regard the Tarawhaiti of the narrow side of the meeting house to be theirs, that is, the side of Rongo, the side of peace and accordingly the offer of tranquillity and contentment to Manuhiri who occupy Te Tarawhanui the wide side of the house, the side of Tumatauenga god of anger. That the ultimate sportsperson should receive the Trophy of Rongomaraeroa is recognition that this achievement is like the goals of tranquillity and contentment which are the gifts of Rongomaraeroa. There are no greater gifts. 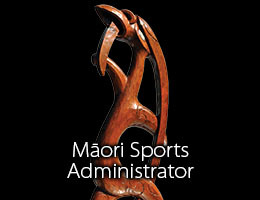 The winner of the prestigious Māori Sports Person of the Year award, which bears the name of our founder is selected from our categories. 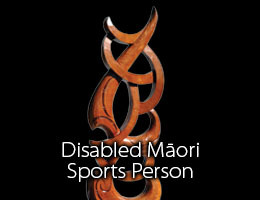 He tama ia ngā Ranginui rāua ko Papatūānuku, he maha hoki ngā āhuatanga o Rongomaraeroa, arā, ki te taha o te rongomau, hei whakanoa I ngā mahi ā Tūmatauenga. 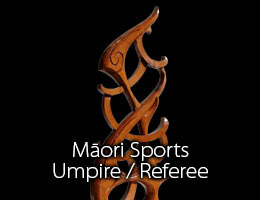 Ngā tohu mō Rongomaraeroa, he ngākaunui he mānawa, anā hoki ko te ingoa Māori mō te rongo. He whai tikanga hoki ki te nuinga o ngā iwi e whai whakaaro ana ko te tara-whāiti o te wharenui nō Rongo, ko te tara-whānui nō Tūmatauenga te atua o te riri. 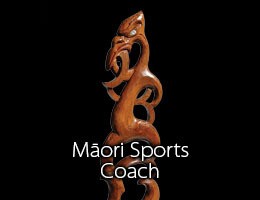 Ko te tino toa o ngā toa ka whakawhiwhia ki te taonga o Rongomaraeroa nā runga I te taumata o te whakaiti me te hūmārietanga o Te Ara o Rongomaraeroa. Kaare he kōrero I tua atu.